I feel so grateful that I was contacted by one of the #LovewithFood representatives to work with their special offer this month. I feel wonderful that I could review another box that would contain great and healthy snacks for the whole family. 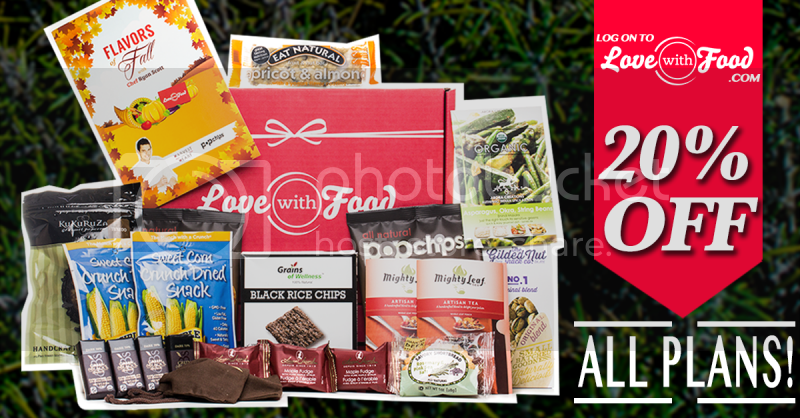 This time I received the Flavors of Fall box, and they featured Chef Ryan Scott and the popchips as they support the Harvest of the Heart of the street of San Francisco with Thanksgiving Meals. It is great to learn that through the monthly purchase we do they will be donating meals to the hungry children in the U.S. The goodies I received inside my box are the following: Tuxedo popcorn from Kukuruza, Green & B lack Organic, Dark 70% Chocolate, Maple Fudge from Laura Secord, Ginger Twist Tea from Mighty Leaf, Almond, Apricot and Yogurt Bard from Eat Natural, Rosemary sea salt shortbread from Dancing deer baking Co., Sweet corn crunch from sensible foods, authentic Indian spice blend from Arora Creations, and Sweet potato popchips from popchips. These are the brands that I would always like to try; they are all good and healthy. I love how they come up with the combination of everything in one simple and cheap price in one box for only $10/month plus you know that you are helping unfortunate children too. You can always subscribe and enjoy the 25% off discount + FREE SHIPPING they offer to you. 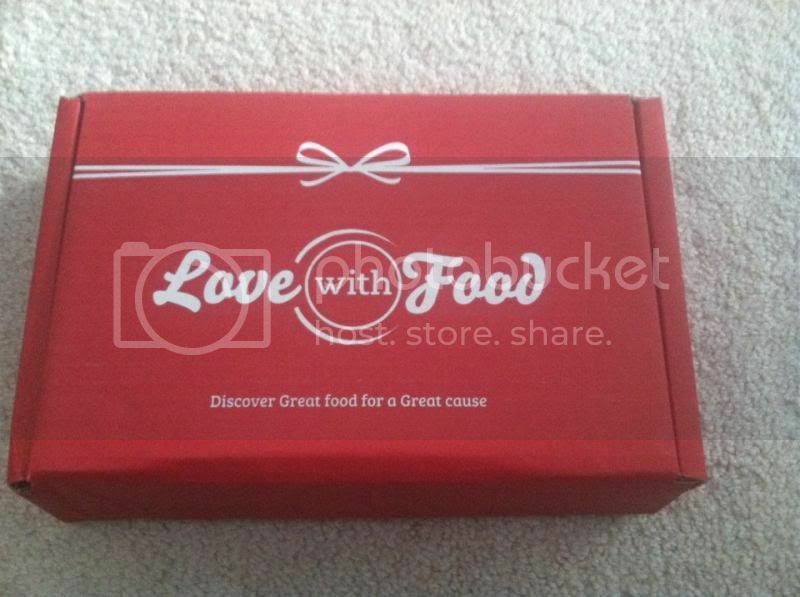 Hurry this ends on 12/1/13 sign up here >> http://bit.ly/LoveWithFood-3DayBlackFridaySale. You can always follow their social media through Facebook, and Twitter to learn what’s new about the product and would be able to get updates. A disclaimer: This is not a sponsored post. 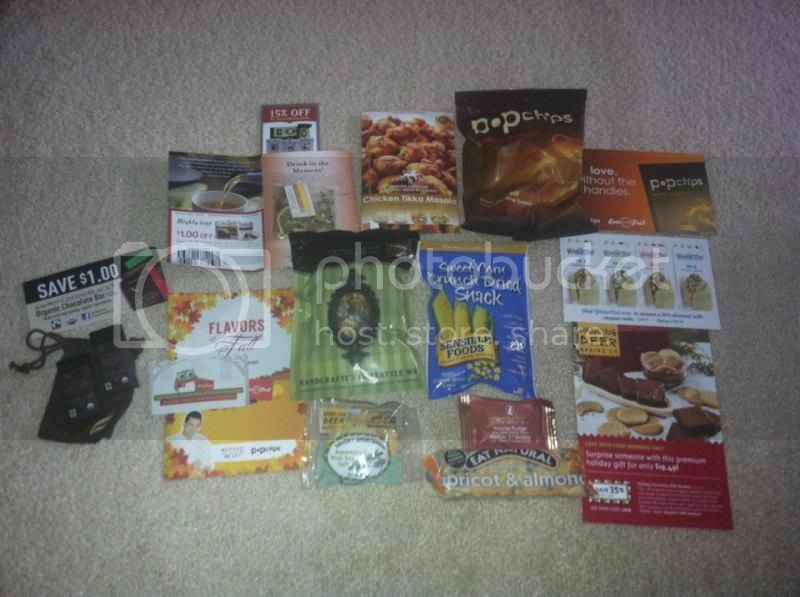 I received the LOVE WITH FOOD BOX for free in exchange of my honesty review. The outlook I expressed is 100% exclusively mine.